There's a reason that British author Agatha Christie's is the best-selling mystery writer of all time -- her expertly-crafted whodunits have been confounding and delighting audiences for close to a century. And The Mousetrap is considered one of her true masterpieces. The story begins when a terrible snowstorm traps a group of strangers in a quaint boarding house. They quickly discover that a murderer is hiding among them, and after a policeman arrives to investigate, a trap is set to catch the wily fiend. This spellbinding murder mystery will keep you guessing right up until its famous twist ending. The Mousetrap opened in London's West End in 1952 and has been running continuously ever since. 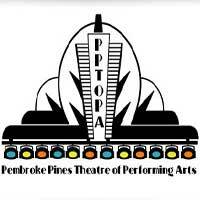 Catch this true classic at the Pembroke Pines Theatre of the Performing Arts's Susan B. Katz Theater.